Divi Desktop Menu Customizer plugin allows you to customize the Default and Centered header formats of Divi theme for desktop screens. This plugin adds lots of new customization options that allow you to style almost each and every element of desktop header with live preview via Theme Customizer interface. 200+ options of the Desktop Menu Customizer plugin allow you to create really unique desktop headers styles in a matter of minutes. 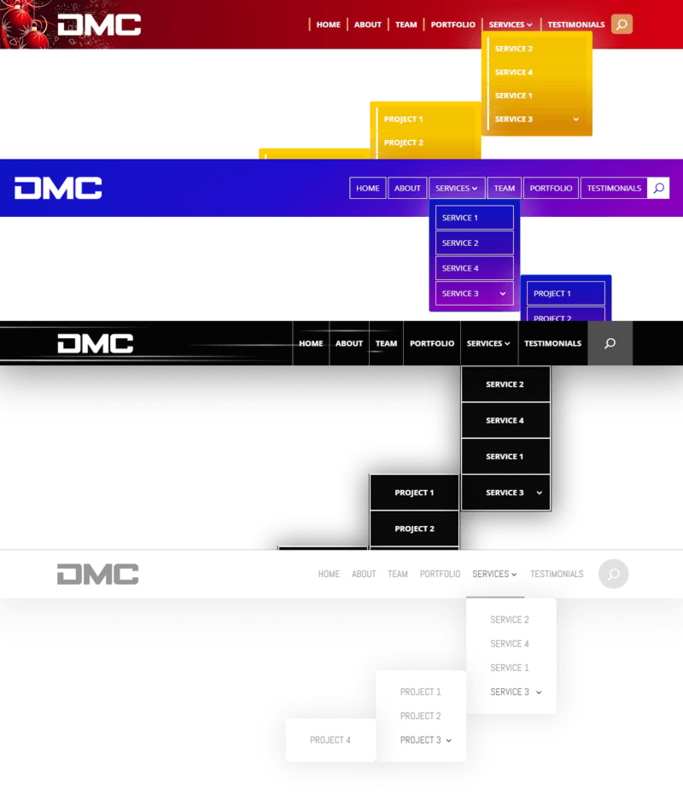 DMC plugin comes with two separate sets of options for Primary and Fixed navigations which makes it possible to style these two headers independently from each other, e.g. you can have a transparent Primary navigation while your Fixed navigation will have a nice gradient background and/or a background image. Desktop Menu Customizer plugin is available under three different licensing options: 1 Site, 5 Sites and Unlimited Sites. Each of the licensing options includes 1 year of support and updates.